This week on the blog, in somewhat of a change of pace, we are going to get a little topical. Over the weekend, I had an experience that taught me a few important lessons about what it means to be a leader, and I thought this experience would make an equally valuable teachable moment for our readers and followers. I don’t know if I could sum up the lesson in a single phrase, but what became clear to me as a result of this experience is that confidence without humility results in loss of credibility and arrogance in any form erodes one’s ability to be a leader. So, this week, I want to begin a multi-part series to explore why and how good leaders go “bad.” The topic for this week is the anatomy of the “brilliant jerk.” We’ll be looking at this specific incident, uncovering its implications for leadership in general, and figuring out what it means with regard to what leaders owe to themselves and others. The incident itself went as follows. 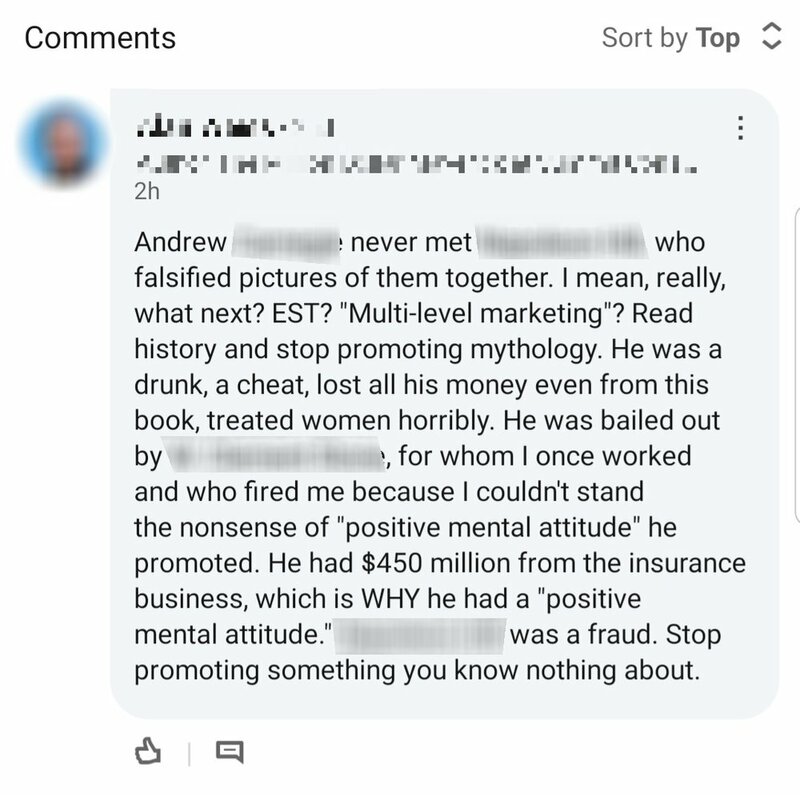 One of the authors whose books we have used extensively and with much success in our business—we’ll call him “Alvin White”—posted what seemed like a personal rant with a strong condescending tone in response to a book recommendation that was posted online by someone. The book being recommended wasn’t new or controversial, rather it has long been on John Maxwell’s list of recommended books and is one of the most well-known books out there on “positive thinking.” I realize that not everyone is into this type of “kumbaya” stuff, but my family and I had just finished reading it and I wondered what Alvin White—someone whose opinion I valued—thought of it. The book was pretty innocuous as far as things go, so his response was shocking to say the least! In a series of posts, one of which has been posted here, Mr. White launched into a fairly strong attack on the person who posted the recommendation. He hurled insults and told the person they should “study history instead of spreading mythology,” and how they should “stop promoting what they don’t know anything about!” Mr. White said that the (deceased) author whose book was being recommended was a conman and a drunk, and that he (Mr. White) had been fired by an associate of the author for not buying into his nonsense. While everyone is entitled to their opinion, it was clear from the content and tone of White’s responses that he had a bone to pick with this author personally, not necessarily with the book itself. What wasn’t clear was why this was the case, and what Mr. White hoped to achieve by aiming such petty histrionics at a random person on the internet. Now, I’m not going to speculate as to what might have caused White’s outburst, nor am I going to attempt to defend the author he was criticizing, because for our purposes those things don’t matter. What I want to do is examine this incident to see how and why things went so wrong, and see if we can learn anything about leadership in general from it. In this instance, Alvin White had clearly crossed the line from confidence into arrogance and felt free to speak to others as if they were inferior. This didn’t seem to be a good faith intervention to help others avoid potential harm, but a petty, egotistical, personal take-down, and of someone who is no longer here to defend themselves, at that! Presumably this inflated ego came from his own prestige and credibility as an established consultant. Needless to say, this incident caused Mr. White to lose a great deal of respect and credibility in my eyes, even though I continue to see the value of his expertise in a very narrow sense. In an irony that seems to be lost on Mr. White, his very behavior disproves the point of his own argument, that the unsavory reputation of an author should invalidate the value of their message. 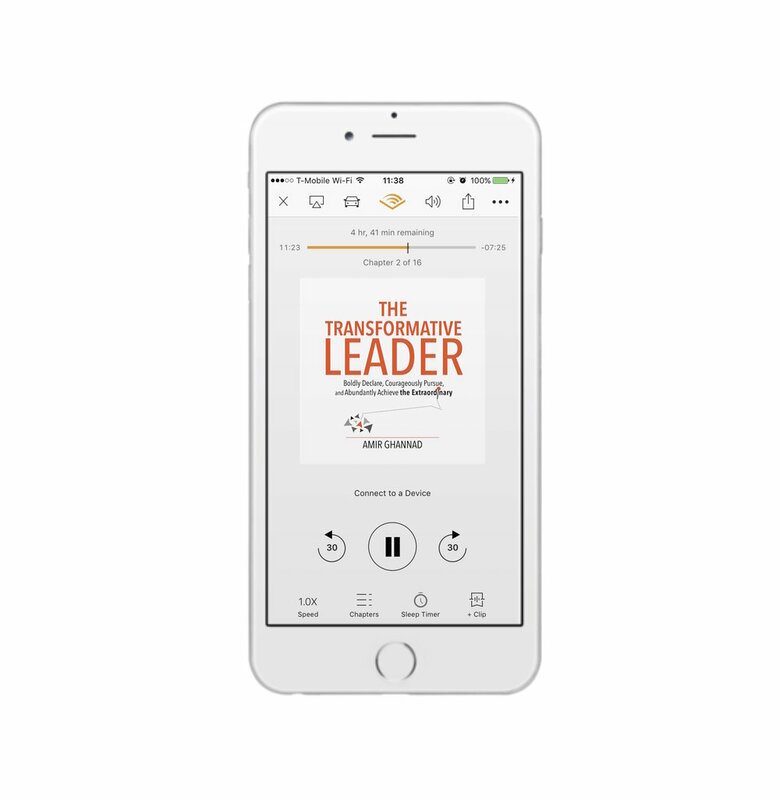 It instantly became clear to me that, while Alvin White may have been the world’s foremost expert in his field, he didn’t know much about being a leader, transformative or otherwise. Rather than seeing him as a leader, I now understood that he was just another “brilliant jerk,” with all the baggage that entailed. Just as it was foolish of him to conflate his credibility and expertise in one area with that in another area, it would be foolish of me to do the same and excuse his personal failings because of his professional success. This tendency, to assume that expertise in one area makes up for incompetence in others, is part of the anatomy of the “Brilliant Jerk,” an affliction that has sidelined many an aspiring leader. So let’s put it under the microscope and see why this is one of the ways that good leaders go bad. To begin with, what I mean by a “brilliant jerk” is anyone who has expertise in a specific area and whose behavior indicates that they believe this expertise compensates for their character flaws, which they often show no willingness or desire to rectify. These flaws include, but aren’t limited to: rudeness, arrogance, hypocrisy, insubordination, entitlement mentality, discrimination, authoritarianism, and general unsavoriness. It’s important to note that the brilliant jerk need not necessarily have actual expertise; usually it is enough for them to simply think themselves an expert to feel their bad behavior is justified. In fact, as a result of the Dunning Kruger effect, sometimes the more clueless and incompetent they are, the more brilliant they perceive themselves to be. Contrary to what they might have you believe, no one likes the brilliant jerk. The brilliant jerk is tolerated, and that tolerance is entirely contingent on the benefit currently derived from their brilliance. As soon as the positive value of their expertise is outweighed by the negative effect they have on the culture, they cannot be jettisoned quickly enough. On some level, they all know this, and the motivated reasoning they engage in to avoid this inevitability is behind most of the hardships they cause. At best, the brilliant jerk is a drag on the organization and a liability to be mitigated. At worst, usually when the brilliant jerk is a leader with significant authority, they are almost an existential threat to the organization itself. This is due in part to the fact that the brilliant jerk’s entire identity is based on scarcity mentality, compartmentalization, and an almost pathological resistance to change, all of which do significant damage to an organization. With regard to scarcity mentality, because the brilliant jerk’s continued functioning in an organization depends entirely on the expertise they bring, they are highly motivated to make sure that they remain the sole possessors of that expertise. In this situation, sharing their expertise or otherwise acknowledging that it may not be absolutely and uniquely necessary is essentially arguing that they should be fired. No one in their right mind would do that, and so they don’t. Rather, they engage in a kind of organizational Munchausen syndrome by proxy. This requires that something always be held back to make sure they remain valuable, and it also means that collaboration or even agreement with another expert is tantamount to career suicide. It means that they are playing a zero-sum game, where they assume another person’s success diminishes their own, and where an abundance mentality is seen as a threat to their survival. And as a result of their awareness that their “jerkiness” is a liability on its own, they are incentivized to argue that a positive, agreeable attitude is not only embarrassingly pointless, but possibly harmful. It isn’t surprising how someone like Mr. White, who espouses such views with an arrogant and disruptive attitude, might be fired as a result. White’s hysterical response to the recommended book also isn’t surprising, as the book promotes an abundance mentality and stresses the importance of attitude over circumstances, ideas which are entirely antithetical to the existence of the brilliant jerk. This brings me to my next point, which is about compartmentalization. Perhaps as a result of defining themselves according to their expertise and circumstances—something which you can be sure creates a metric ton of existential unease—brilliant jerks tend to identify most with their strengths and almost not at all with their weaknesses. We all do this to a certain extent, but the brilliant jerk takes it to the another level; not only do they have great expertise, but, in a very real sense, their expertise becomes who they actually are. Consequently, all of their behavior outside of their area of expertise not only doesn’t matter, but in some sense, it barely even exists. Functionally, the brilliant jerk narrows their perception of themselves and the world to the point that things outside of their area of expertise just don’t really count. As you might imagine, this allows them to justify all sorts of objectively negative behavior as harmless, and all sorts of incompetence in certain areas of life as irrelevant. This also means that they need not make any effort to improve in areas they are weak or failing in, because those areas of life don’t matter. This also leads to a conflation of narrow expertise with global competence, usually to the chagrin of anyone who has to work with a brilliant jerk. Brilliant jerks, despite narrow expertise being their claim to fame, rarely see the need to “stay in their lane.” Just imagine hiring the world’s greatest plumber to install the wiring in your house, and you get an idea of how damaging this assumption can be. Yet many brilliant jerks and toxic leaders believe just this very thing about themselves. If the brilliant jerk is a leader, this causes them to demand authority without accountability, and expect accountability from others without giving them any authority. It leads to an environment where the leader, acting as benevolent dictator, refuses to trust anyone to do anything properly, regardless of their skill level or experience. This is because the leader defines themselves in relation to their strengths, but everyone else according to their weaknesses, in a process similar to the Fundamental Attribution Error. The end result is a culture characterized by patronization, micromanagement, inefficiency, and resentment.